With winter in full swing and cold days and nights there is not much happening on the farm right now. I have started going to the local produce swaps again for something to do, there is another one tomorrow. I like going to the swaps to swap veggies for cakes and eggs, and for the general social aspect. It brings the local communities together. The soil is starting to get soft and I expect that in a week or ten days it will be too boggy to walk on. This helps me to not think I am lazy, simply because at that time of the year there really isn't anything I can do on the place. It is my forced down time. Many people, especially if they have a small growing area don't have much choice in the conditions they have for growing. 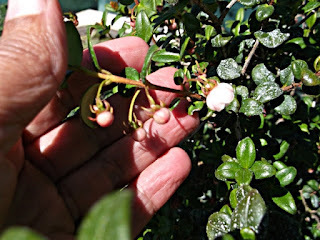 If you only have a courtyard or room between your home and a fence for example you may have to consider only those vegetables and fruits that will grow well in shade. Not many will cope with full shade all day but if you can provide at least a few hours of sun you can still grow food. Even if you have a larger garden there will often be areas that don't grow too much because of shade, such as the shady side of a fence or shed, or under a tree (raised beds are best here to stop roots from taking all the moisture and nutrition from the soil. Make sure that you don't forget to water in summer because most shade loving plants are not drought tolerant. 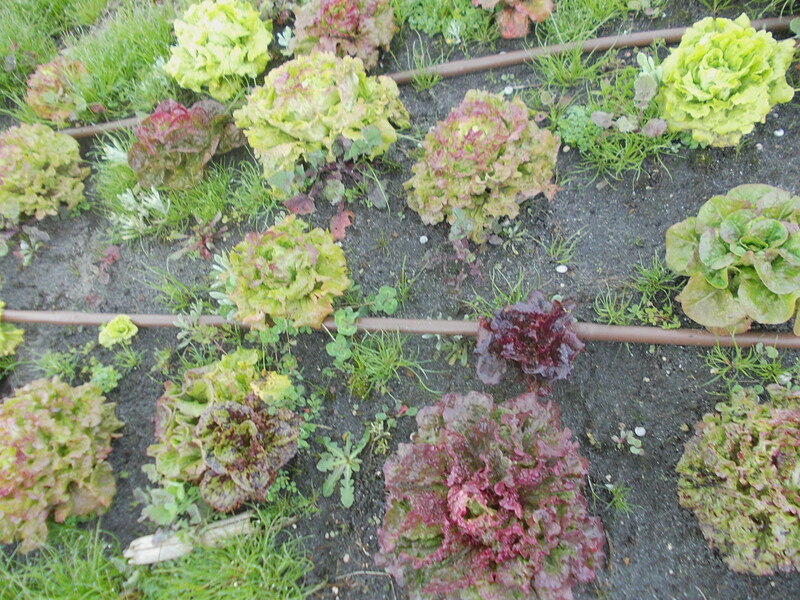 Most leafy vegetable will handle dappled to light shade for much of the day. 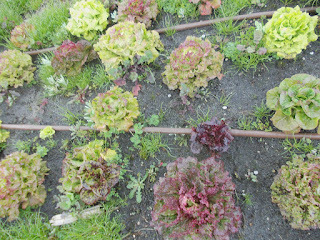 These include lettuce, silverbeet, celery, kale, and leeks. This small bush produces delicious tiny, dark purple berries in late summer. The bush is neat and rarely requires pruning, and best of all, it loves shady areas, but remember to keep the water up to it in summer. Rhubarb is another plant that loves a moist and shady spot. It is a tough plant that is perennial so you don't have to take a lot of care with it, just feed it occasionally and keep weeds down from around it. This plant makes a good shade tolerant alternative to potatoes. They are pretty easy care and love a shady spot. 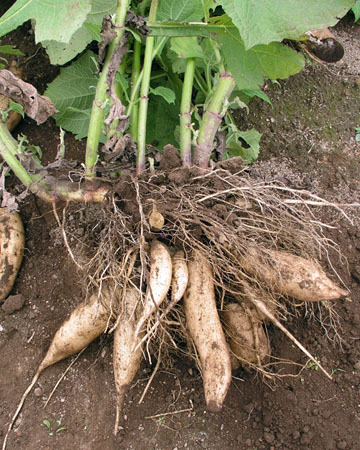 Just plant tubers in spring and harvest when the tops die down in autumn. 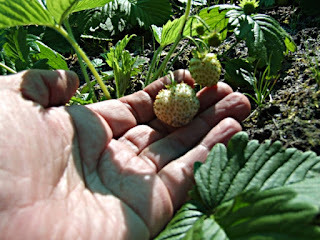 These fun strawberries only produce little fruits but they are delicious and easy care. Most alpines do not produce runners but the plants can be divided, and they are easy to grow from seed from fruit that have dropped. Many herbs will tolerate some degree of shade - parsley, mint, rosemary to name just a few. Although this root vegetable grows well in full sun, it will also grow in light shade. 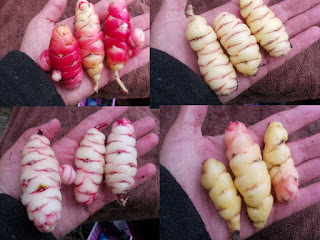 Like oca, it is planted in spring and harvested in autumn/winter. 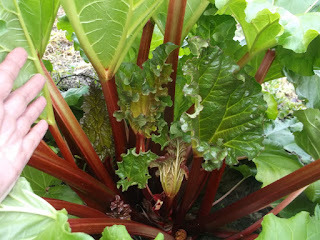 The roots are sweet and crunchy, and usually eaten raw.